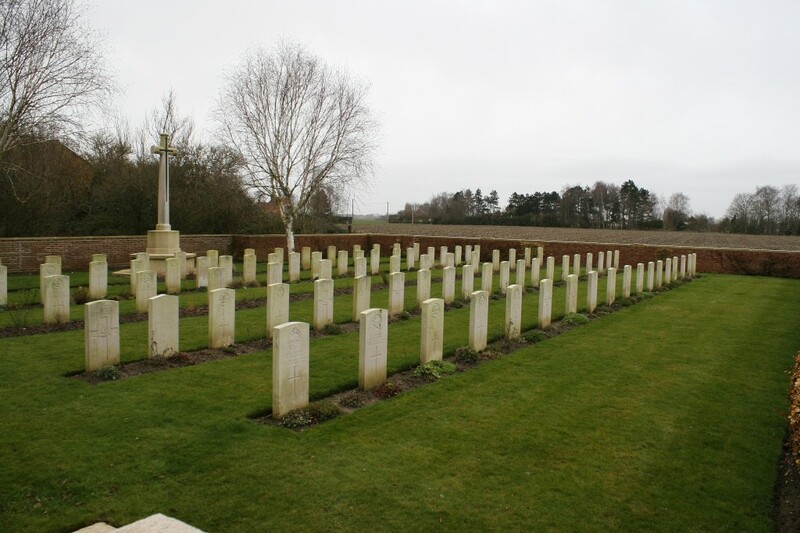 Just a couple of hundred yards across the fields to the east of Y Farm Military Cemetery, where our tour began, our second stop, White City Cemetery, is considerably smaller, as you can see, and was used for a far shorter period of time. 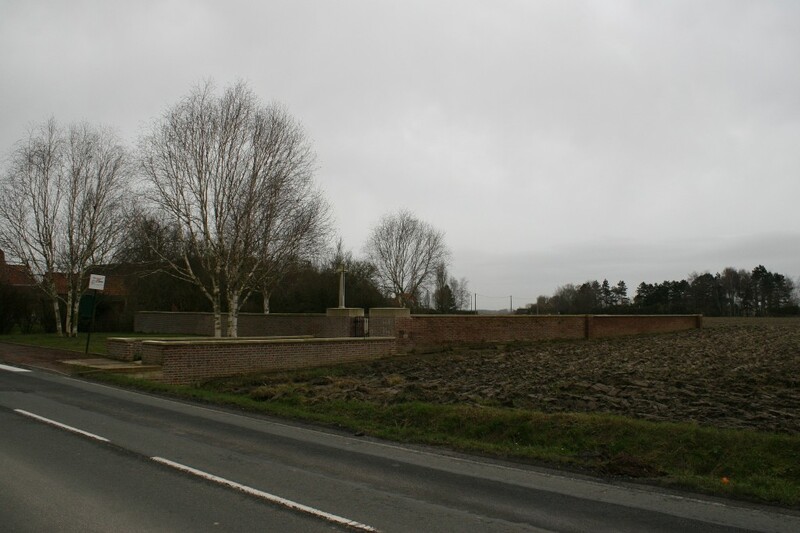 Although four burials had been made here in the closing months of 1914 during the first weeks of trench warfare, the cemetery proper was begun the following May, when the men of the King’s Own Yorkshire Light Infantry began to bury their dead here. Cemetery entrance. 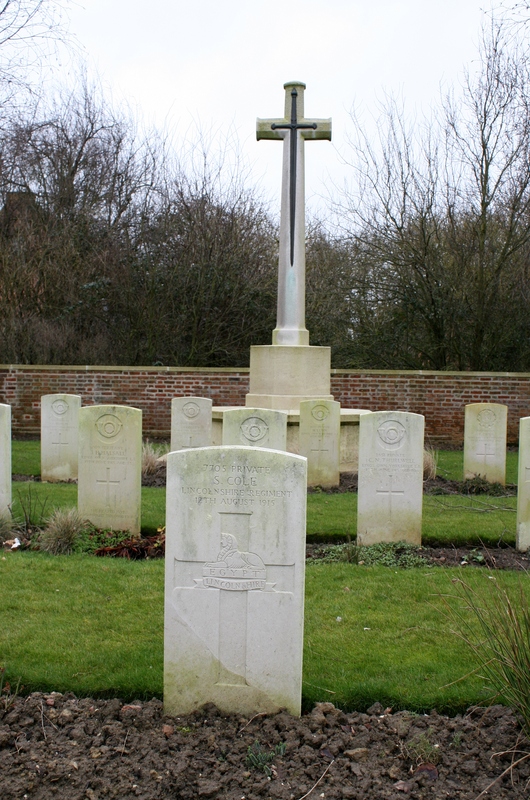 The cemetery plan, courtesy of our friends at the CWGC, can be viewed here. 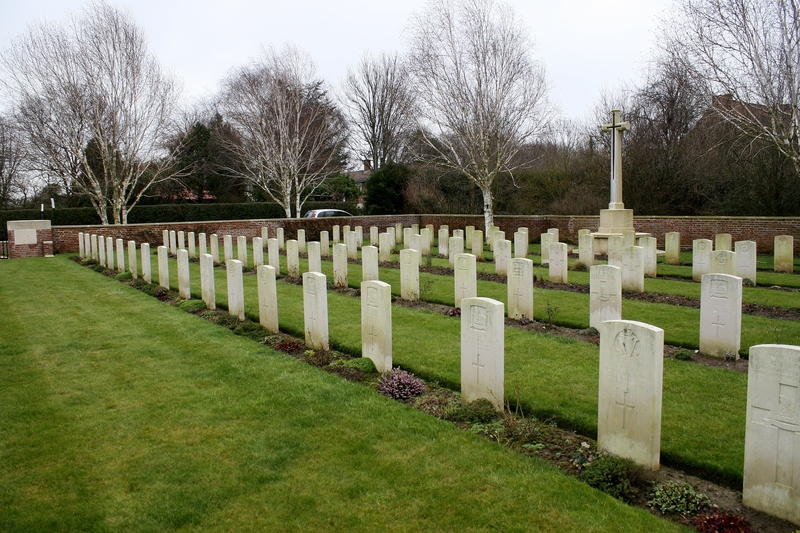 White City was only in use for seven months before being closed in December 1915, and consists of just five rows of headstones (Rows A – nearest camera – to E) that contain 92 British burials, nine of which are unidentified. 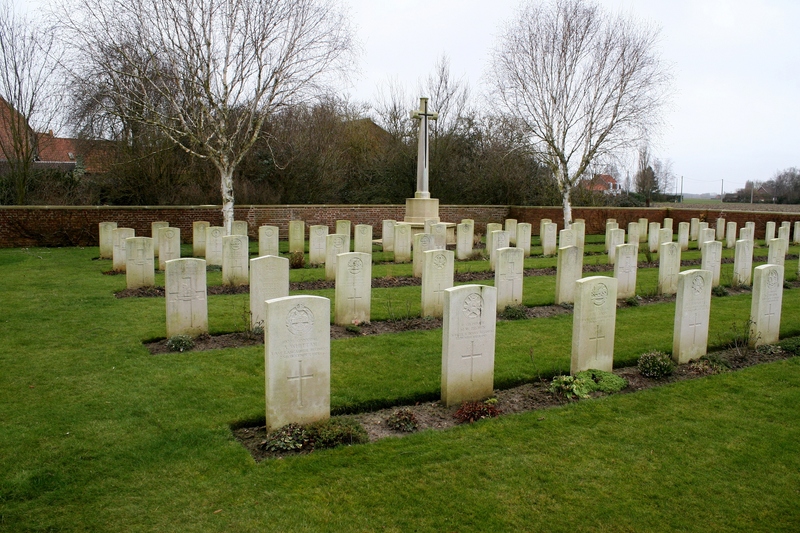 Three Germans are also buried here beneath the second and sixth headstones in the second row (Row B) above. 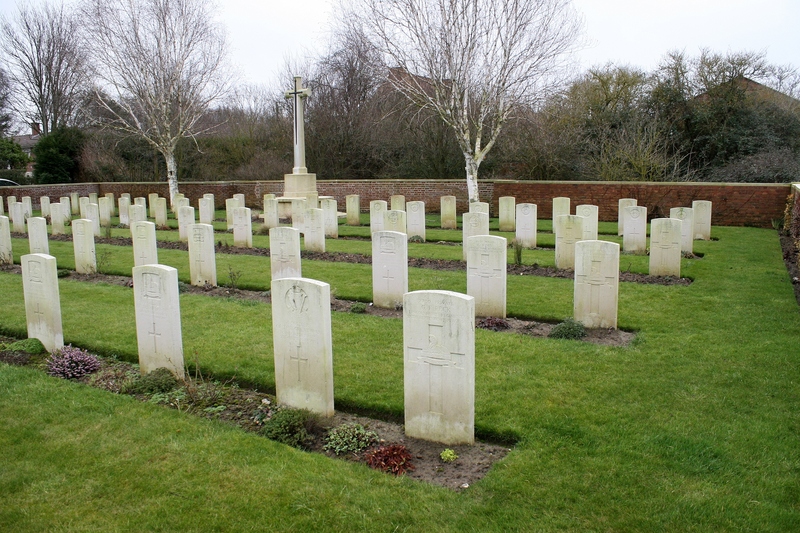 The majority of the burials are from just three regiments: the KOYLI, as already mentioned, the Lincolnshire Regiment, and the Royal Berkshires. 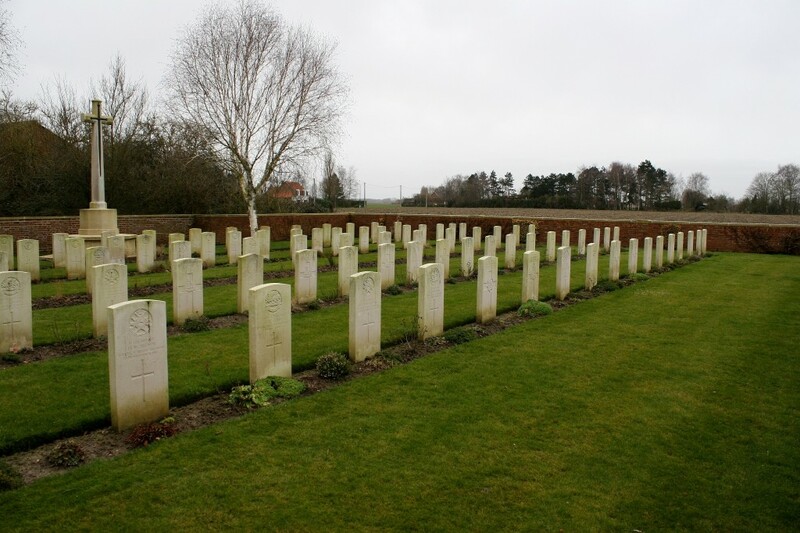 Twenty four men of the Lincolnshire regiment lie here, all killed between July and October 1915 (above & below). 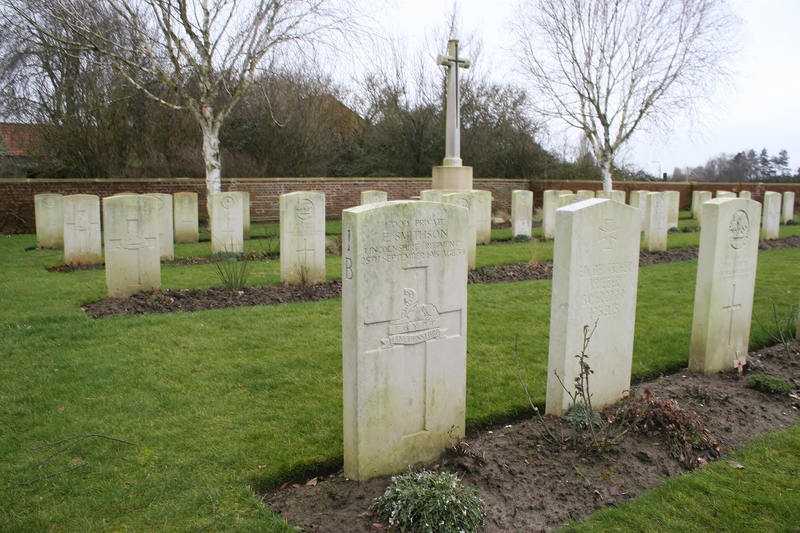 Another Lincolnshire man, in the foreground, with some of the KOYLI graves, of which there are twenty seven in total, in the rows behind. 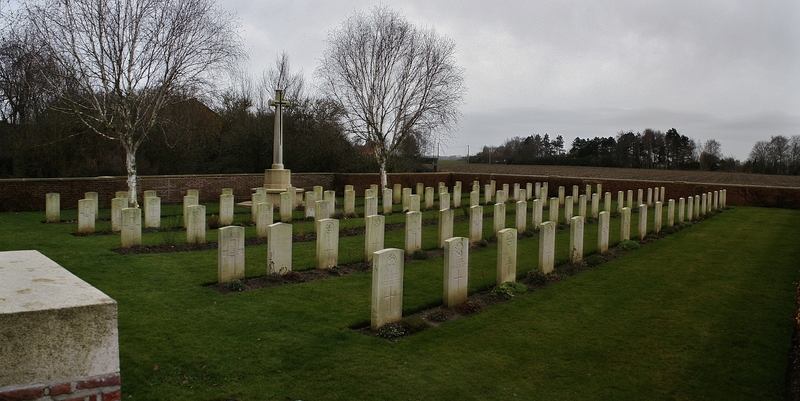 Sixteen men of the Royal Berkshire Regiment were buried here between August and November 1915, one visible in this shot to the far right of the front row, next to the unidentified German grave, with more in Row C behind. It’s a quiet little place, and I’d like to stay longer, but we have a lot to fit in this day, so best be moving on. 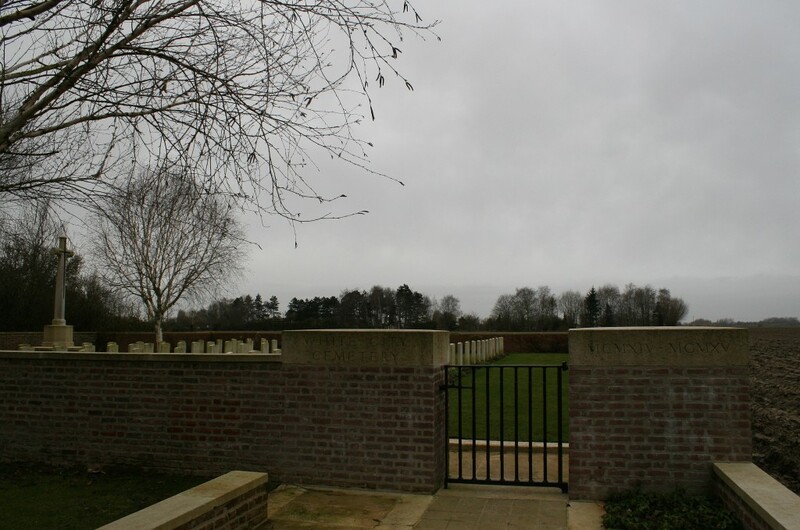 White City Cemetery is just south of Bois-Grenier, and our next stop will be in the village itself, where the communal cemetery contains the graves of 121 British soldiers, the majority also casualties of the fighting in this area during 1915.